Grad transfer point guard Lamarr “Fresh” Kimble has announced that he is leaving Saint Joseph’s to play his final season of college basketball at Louisville. 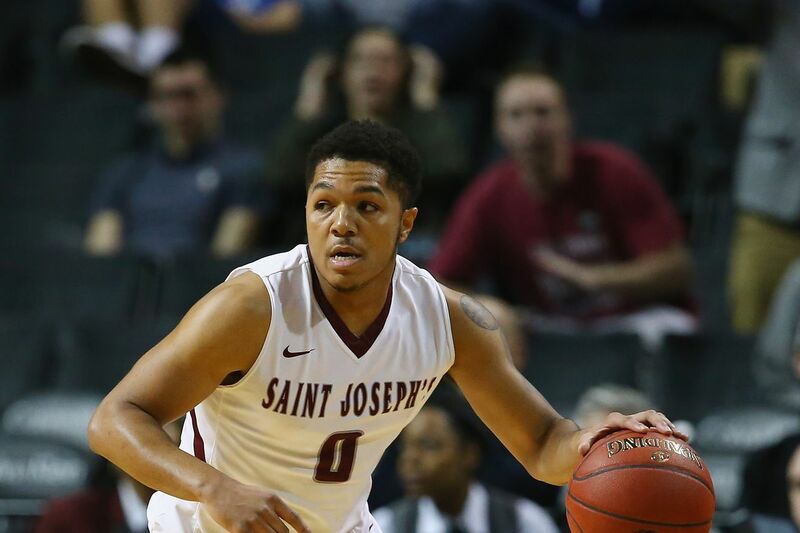 If you’re wondering if this grad transfer PG can come in and be the same type of leader that Christen Cunningham was for the 2018-19 squad, Kimble is the only player in the history of St. Joe’s basketball to serve as a team captain for three separate years. He’s also one of just three players in program history to be voted captain as a sophomore. As far as his on-court abilities are concerned, Kimble was the Hawks’ second-leading scorer this past season, averaging 15.6 ppg. Playing off the ball for the first time in his college career, he was also second on the team in assists and 2.8 per game. As a sophomore in 2016-17, Kimble led St. Joe’s in assists 4.5 apg and was second in scoring at 15.5 ppg. Being asked to handle almost all of the ball-handling duties for that team, he also turned the ball over 3.3 times per contest. That number was cut down significantly (2.1 tpg) this past year when he spent more time at the two. In 2017-18, Kimble played just one game before suffering a fracture in the fifth metatarsal of his left foot that caused him to redshirt the rest of the season. That same injury had forced him to miss the final seven games of the year before. Kimble isn’t the quickest guard in the world but he’s a very capable ball-handler who can create with both his strength and his handles. He probably doesn’t take care of the ball as well as Cunningham did and he might not be quite as cerebral, but he’s a better jump shooter and overall playmaker than CC was. More than anything else though, Kimble is the classic Chris Mack guard: He’s brawny, he’s tough, he’s a leader, and he’s the guy who wants to have the ball in his hands when the game’s on the line. People from the Philly area and those who follow the Atlantic 10 rave about this kid’s ability and overall demeanor. Plus, he’s a distant relative of the great Bo Kimble whose nickname is “Fresh.” What’s not to love here? This is a big first move for 2019-20.